1st row: Amanda Davis, Rita Gamper, Janet Bacon, Sally Hull, Jo-Ann Dodds, Carlene Moore McBroom, Katherine McCarty, Emily Matthews, Deborah Tupper, Doreen Dygert, Amy Sue Durham, Deborah Bullock. 2nd row: Richard Miller, Mark Niles, Royce Corbine Jr., Thomas Clark, Robin Davis, Sandra Beachard, Mary Lou Hatline, Mary Kamau, Danny Robinson, Patrick Hewlett, Terry Smith, Carl Hance. 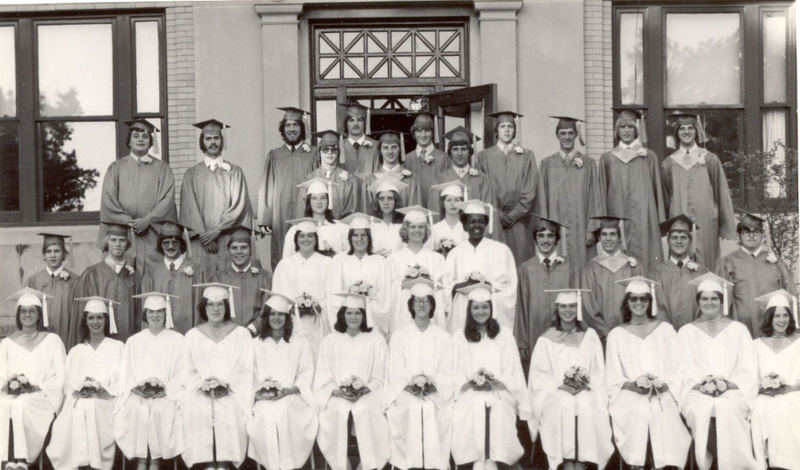 3rd row: Rhonda Caswell, Patsy Stalker, Robin Curtis. 4th row: John Coffey, Ronald Towne, Timothy Bessette. 5th row: Robert Bevins, Louis Oelsclager, Jr., Timothy Pfautz, Darrell Morse, Terrance Clary, Larry Jenne, Philip Edie, Edward Rider, Richard Towne.